Erich Schiffmann has been practicing yoga for over 40 years. 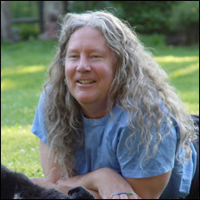 He is the author of one of the best modern books on yoga, Yoga: The Spirit and Practice of Moving Into Stillness, and the featured teacher in the 1994 best selling yoga video with Ali Macgraw, Yoga Mind & Body. He teaches in Venice, CA at Exhale and travels internationally conducting workshops, retreats and teacher trainings. He recently filmed, edited and produced his own collection of yoga videos, which he is marketing as “The Backyard Series”. Erich is love, and he teaches you how to be love too. His humor and compassion guide us into the deepest and fullest expression of our big Self.